New York City Family Adventure from JaWaVi Films on Vimeo. Mention to anyone that you and your wife have an upcoming 3 day trip to New York City, where you will be staying in a terrace suite with stunning views of the Chrysler Building and their first reaction will probably be one of amazement and envy. In the next breath, inform them that you’re driving from Georgia with your three kids in tow, then see what they say. That’s a funny visual isn’t it? Back in 2013, my wife, Jennifer and I made a pact with each other and our small children at the time that we would take at least one trip a year to a different part of the United States so they could experience something beyond their little lives in Athens, Georgia. Since 2013 we have been to Los Angeles, San Francisco, Washington D.C., St. Louis, Chicago, Philadelphia and now New York City among other places. The payoff of their travels will do nothing but help them as they get older. They’ll be used to the long hours on the road, the rigors of air travel and most importantly, meeting new people from around the country and seeing amazing places. Booking a hotel room can be one of the most daunting parts of the entire trip. Planning where to stay with your kids in New York City, especially if you’re like my wife and me and have three children can be tough. A typical hotel room with two queen beds just won’t cut it. You need space, and your kids need room to relax as well. Trust me, a well rested crew is the perfect recipe for some amazing days of exploring and for everyone’s overall sanity. I spent hours on the typical hotel sites like Trivago and TripAdvisor, but after a certain point, the high prices per night and restrictive cancellation policies, one can question whether or not booking a trip is even worth it in the first place. Then I remembered a lovely little hotel where Jennifer and I had stayed in back in 2014. The Tuscany a St. Giles Boutique Hotel, which is located in the heart of the Murray Hill district of Manhattan. The St. Giles Hotel Group has two sister hotels located adjacent to each other. The aforementioned Tuscany and The Court. I closed my laptop because I wanted to speak with a person who could help me. Thank goodness I did because immediately I was greeted on the other end by Shelby, who quite possibly could be the most personable person on the phone that I have ever spoken with. Immediately she began asking me questions about what I was looking for as it pertained to our “party of 5” and she suggested a suite at The Court. I checked out the photos online and was quickly booked into an upper floor suite at a very reasonable price. Shelby was not done yet, because of availability, she was able to upgrade us to a terrace suite (appx. 800 sf) that had a small balcony with stunning views of the Chrysler Building. The Court Hotel is located on the corner of E 39th Street and Lexington Avenue. This makes it a prime location for utilizing the subway. Grand Central Station is only a few blocks away and although weaving your way throughout the many platforms and tracks can be daunting at first, it’s easy to figure out and then you’re off to explore the city in any direction. We used Grand Central as our hub and on the first full day took the 7 train westbound to the Hudson Yards station, which allowed us to then take a quick walk to The High Line. The High Line is a public park built on an old elevated rain line. It runs from W 34th Street all the way down to Gansevoort Street in the Meatpacking District. After all of the walking and exploring the five of us undertook on The High Line, Jennifer remembered her visit to the Chelsea Market from attending NYFW back in August. It is a lovely shopping/dining experience set inside an old warehouse. We ate lunch at the Chelsea Creamline. From burgers to toasted peanut butter and jelly, this was the perfect quick grub spot for a adults and kids, alike. They also carry a unique line of bottled soft drinks. Being from Georgia, home of Coca-Cola, it’s a tough sell to get me to drink anything other than Coke or Sprite, but their Caleb’s Kola and the Lemon-Lime selections of soft drinks were something to behold. I have been to NYC many times in the past, but had never visited Ground Zero before. Thankfully, our children are old enough to understand the gravity of what occurred there in 2001, so all of us were wanting to see the new One World Trade and also pay our respects to the fallen. The memorial is stunning in both its beauty and significance. One of the best tips we received from friends for our travels in New York was to hop on the Staten Island Ferry. I would have never thought to do this, thinking it was just for commuters. However, I must say it was one of the highlights of our entire visit. First off, it’s FREE. New York is such an expensive city, so for us to find an activity that provides the most gorgeous views of the city at the best price ever felt like a complete victory in our book. The ferry leaves every 30 minutes so this experience is simply waiting for you to take advantage of it. You can catch the ferry at the Whitehall Street South Ferry entrance and make sure to sit on the back observation level so as to capture some amazing video and pictures of Manhattan. Another great reason that The Court Hotel is a fantastic place to stay is in fact its location. After finishing our back and forth cruise on the Staten Island Ferry, all we had to do was take a short walk to the Bowling Green Station and catch the 5 train. This took us all the way back to Grand Central, which saved our feet and wallet from either an exhaustive walk or an expensive cab ride to our hotel. We experienced all of these adventures in one day! New York City is a great place for families. 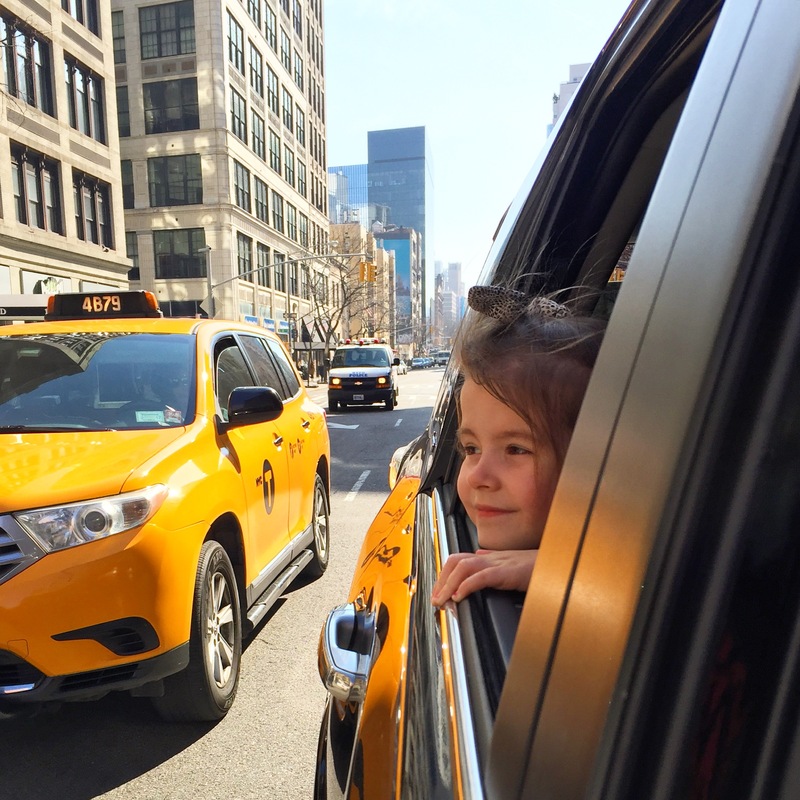 From the helpful NYC locals to the ease of transportation, a new adventure awaits around every block. My kids’ favorite part was exiting the subway. Think about it, you go underground to ride a train, which is awesome in and of itself, only to pop up somewhere new and upon exiting the station, brand new sites, sounds and world famous buildings await your eyes. It’s truly a magical place. From our arrival to our departure at The Court Hotel, the hospitality was overflowing. I wanted to give a special mention to not only Shelby, Accommodations Specialist at the property, but also Aamira at the front desk and Oscar who helped us throughout our stay. Remember how at the beginning of this post, I told you that The Court and The Tuscany were sister hotels. They both treated us like family. Orlando, who works at The Tuscany helped us with our luggage and valet as we were checking in on a hectic Monday. Now if only I could get my kids to cooperate like these hotel siblings do, I’d be on the right track.